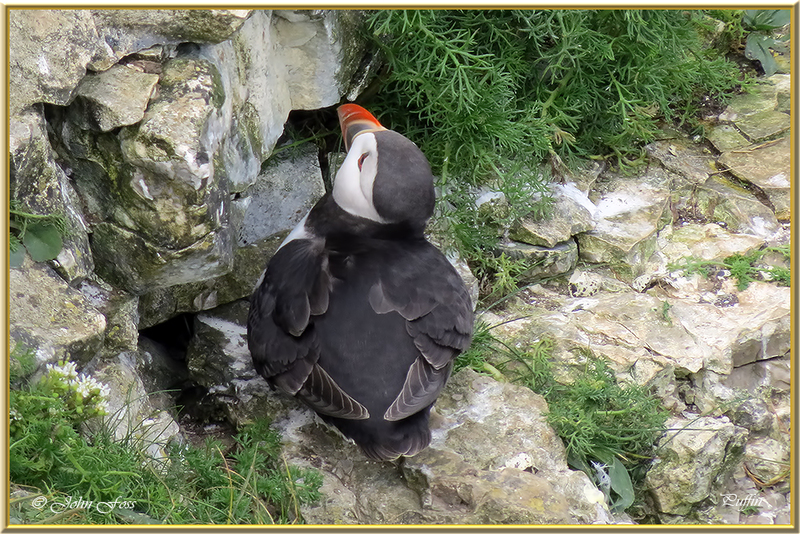 Puffin - The puffin is a marine bird only found on land during the breeding season. 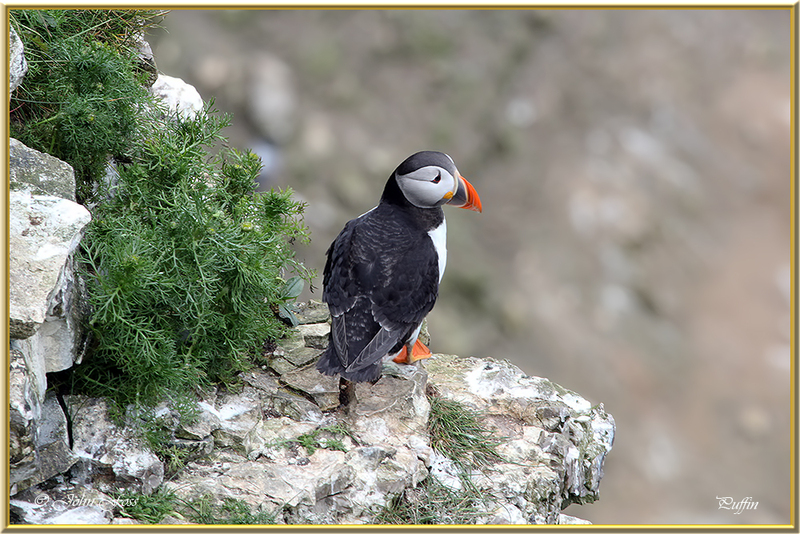 Wintering far out at sea is the reason they are rarely seen at any other time of the year. 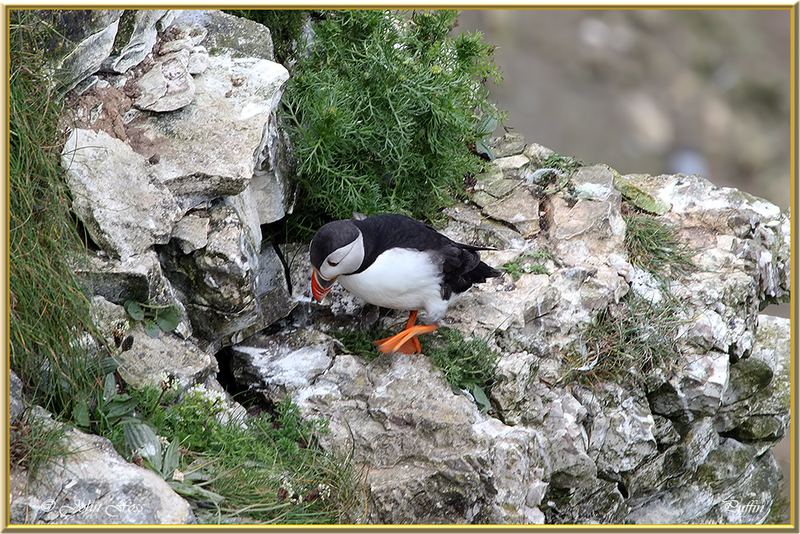 They feed on fish usually sand eels. They come inland to breed around April. The bills bright colours are shed during the winter and so becomes a smaller bill with a rather dull colour. 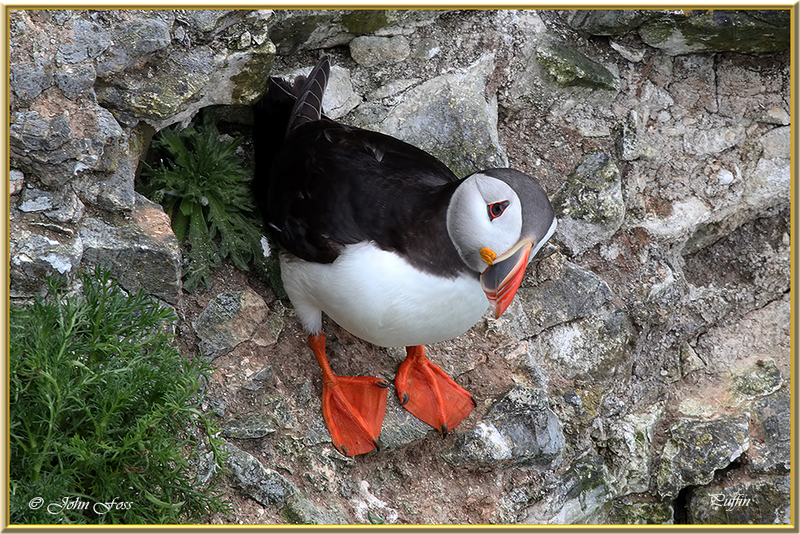 They nest in coastal cliff crevices and even old rabbit burrows. The wing beat can be up to 400 times a minute. 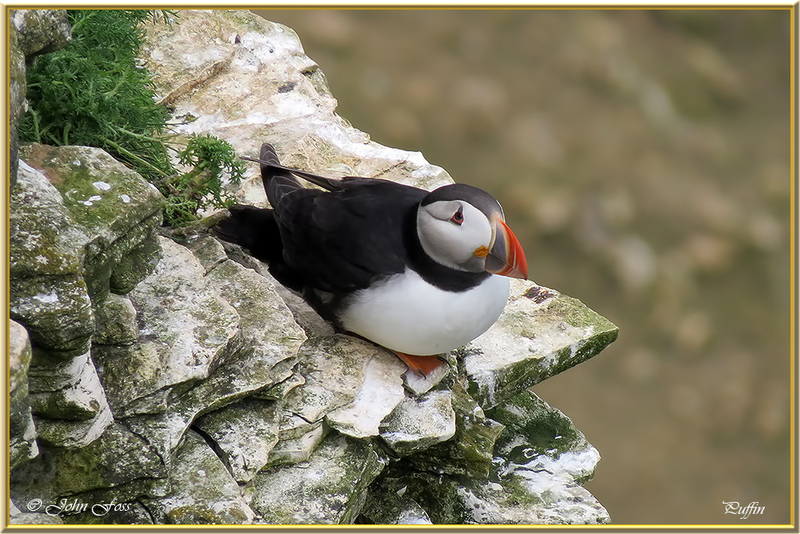 I photographed these puffins at Bempton Cliffs in the UK in June. From here they fly out to sea 25 miles to feed! It is feared that their numbers may be reducing because of the reduction of sand eels due to global warming.